As an East Coast girl with an innate love of lobster, learning about the Port of Los Angeles Lobster Festival touched a warm place in my heart. I have fond memories of my dad cooking lobster for us as kids and of the hilarious antics our cat would perform to earn a bite. 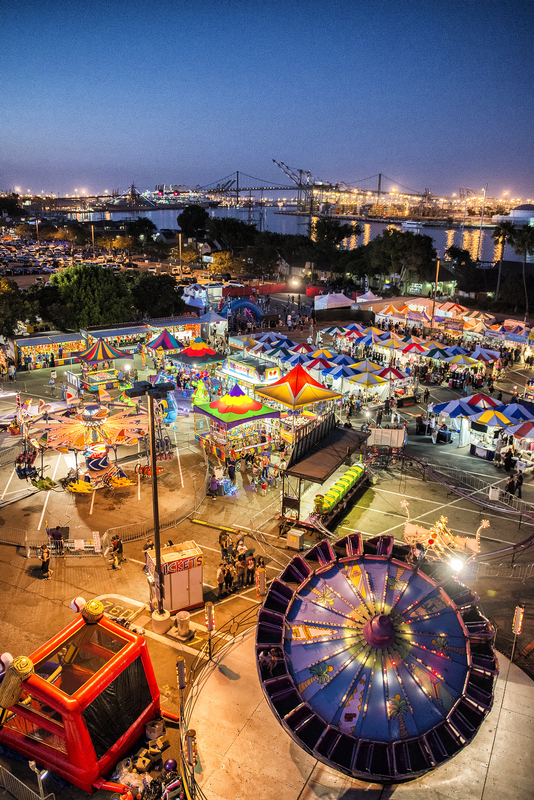 The Port of Los Angeles Lobster Festival is the biggest lobster festival in the world and a 4-times Guinness world record holder. I spoke with Jim Hall, founder and organizer of the festival, to learn what makes this such a special event. 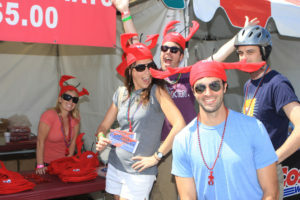 The Port of Los Angeles Lobster Festival, or Lobster Fest, has been a Los Angeles tradition since 1999. 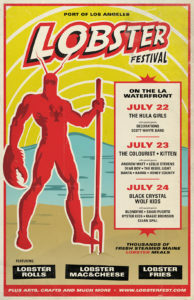 This year, the festival will be held on the LA waterfront in San Pedro the weekend of July 22-24. Jim grew up in Southern California and, after finishing a career in the US Army, also lived in Maine for many years. 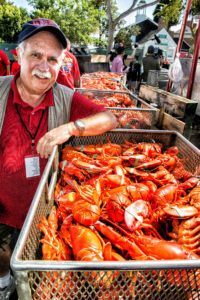 While living in Maine, Jim discovered the East Coast festival scene and lobster festivals in particular. So when he returned to Southern California and was asked to organize an event for the Redondo Beach community, he immediately thought of a lobster festival. 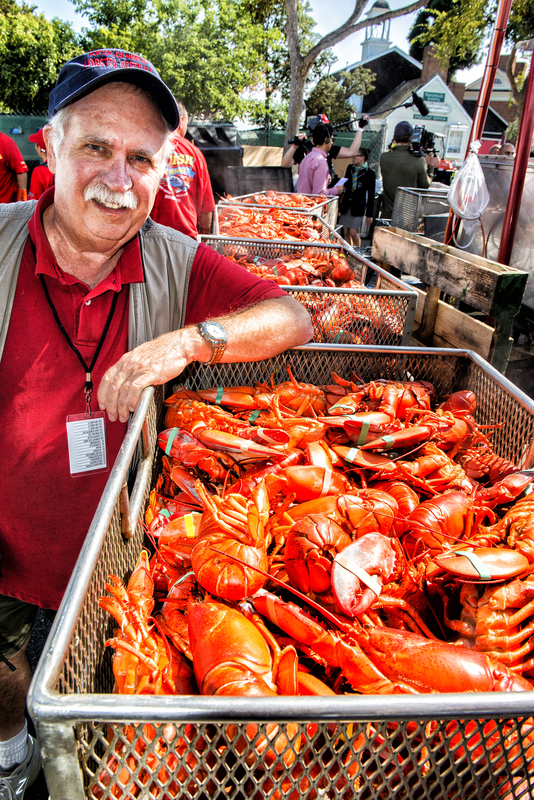 Five years and thousands of crustaceans later, Jim passed the planning and management of the Redondo Beach Lobster Festival to the local chamber of commerce and began producing the Port of Los Angeles Lobster Festival. Since its inception in 1999, the Lobster Fest has grown to become the largest festival of its kind in the world, flying in over 16 tons of live Maine lobster to be served at the event. Lobster Fest has even set four Guinness World Records since 2009. Some of the food that will be featured at Lobster Fest 2016 includes lobster rolls, lobster mac & cheese, lobster fries, lobster quesadillas, and discounted lobster meals (1.25 lb lobster with butter and lemon, sweet bread, potatoes, and cole slaw). As the Port of Los Angeles Lobster Festival has grown and become more prosperous, Jim felt it was important to give back to the community. Lobster Fest partners with the Rotary Club and Harbor Interfaith to get involved and give back to the community. The Rotary Club runs the bar at Lobster Fest, using the proceeds towards their good works, which included building an orphanage in Haiti in 2014. Twenty percent of the profits from First Class ticket sales goes to Harbor Interfaith to help them in their mission to intervene early in the cycle of poverty and help families break the cycle; Harbor Interfaith provides a food bank, daycare services, and job training to families in need. Part of the Jim’s commitment to community is environmental responsibility. Lobster Fest serves only American-caught Maine lobsters from a well managed sustainable fishery, humanely chilled and maintained in a hibernation state. The festival uses bio-diesel made from recycled cooking oil to heat the lobster cooker and fuel Lobster Fest vehicles and power generators. But what about the 16 tons of lobster? 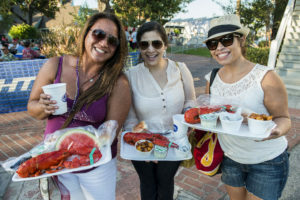 Incredibly, the Port of Los Angeles Lobster Festival has never run out of lobster. Even with last year’s record attendance of over 40,000, they had 40 lobsters leftover at the end of the weekend. Jim is an involved organizer, building from the successes and challenges of past festivals and taking guest feedback into account. “Last year our attendance doubled, catching our staff by surprise. We had over 40,000 attendees, and we didn’t see it coming,” which led to some logistical challenges, including crowding and traffic problems. This year, based on feedback from festival staff and guests, Jim has secured a larger venue to accommodate larger crowds and taken steps to alleviate the traffic issues. He has also installed additional box office terminals for a more convenient box office experience. “We partnered with the USS Iowa to host the Lobster Fest in a larger space right next to the LA cruise port.” Guests can choose to park in the cruise port lots for a fee, or park for free in remote lots and take a free shuttle to the festival gates. Lobster Fest 2016 will have a traffic control person whose sole job will be to monitor the traffic and parking situation and post live updates on social media to keep guests informed. Jim is also working with AdmitOne to install over a dozen automatic ticketing terminals to reduce line times in the admission area. Using these terminals, you will be able to purchase admission tickets and meal tickets. The new ticketing terminals are expected to significantly reduce transaction times. Can you spot the movie star hiding in the photos? He’s camera shy when off the silver screen, but he’s there. 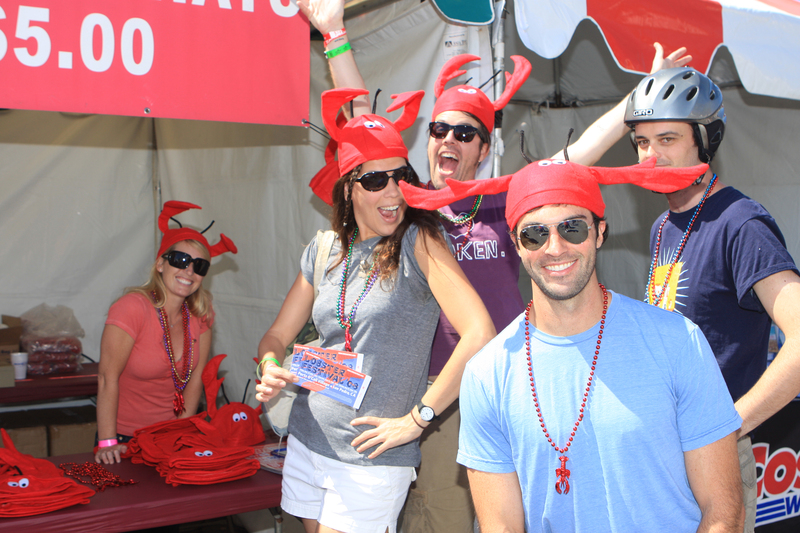 If you have a sharp eye, you will spot at least one TV or movie star each year at the Lobster Festival!